Do you live in Loxahatchee? 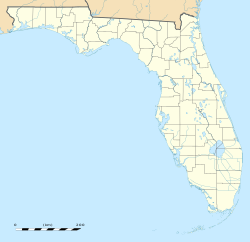 Loxahatchee is an unincorporated community located in Palm Beach County, Florida, United States. It is located in the areas north of Wellington and west and northwest of Royal Palm Beach, Florida and approximately 17 miles (27 km) west of West Palm Beach. Loxahatchee is also the name of the Post Office that serves this area, which is under the zip code of 33470. The name Loxahatchee means "turtle river." Loxahatchee is located within the Indian Trails Improvement Districtand the Loxahatchee Groves Water Control District. Lion Country Safari, a drive-through safari park, is located in Loxahatchee. In 2006, the state of Florida approved incorporation of part of Loxahatchee as the Town of Loxahatchee Groves to become the 38th municipality in Palm Beach County. The main reason for incorporating was to better protect the area from encroaching growth and to preserve the rural character of the neighborhood. Perhaps the most rural area within a close proximity to West Palm Beach, with lot sizes range from 1-20 acres. Along with The Acreage, it is notable for loose land restrictions and the native and exotic animal presence is quite notable. Seminole Ridge Community High School serves the area.